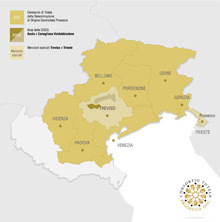 Franciacorta is a Denominazione di Origine Controllate e Garantita (DOCG) in Italy's Lombardy region. Famous for delicious sparkling wine, the grapes used are primarily Chardonnay and Pinot nero, which we know better as Pinot Noir. 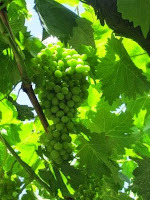 Some examples will also include pinot bianco or Pinot Blanc. 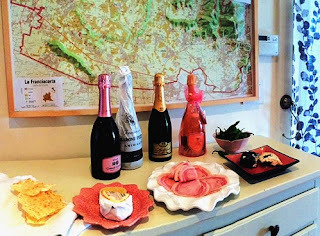 Franciacorta produces sparkling wine using the traditional method, which is similar to the one used in Champagne, France. The result is sparkling wine with a taste of place as well as a stylish flair. Enotourism is a focus here. 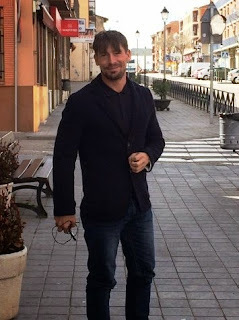 To make your region a tourist destination, you need gorgeous landscapes, great wine and friendly people. Franciacorta scores the trifecta here. With the Alps in the background and delightful producers in the foreground, Franciacorta is definitely on my travel bucket list. However, closer and easier armchair travel is almost as enjoyable with these complex and yummy wines in my ice bucket. Alessio Planeta has as light a touch with his presentation style as he does with his delicious wines. 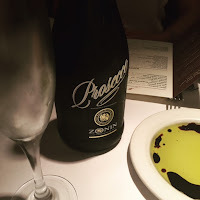 He kept us laughing and furiously taking notes when he visited San Francisco and hosted an informative lunch at SPQR, as perfect a spot for Planeta's interesting wines as you could ask for. "Sicily is special. Dotted with places with varieties of soil and of culture. The jewel is the volcano." He means Etna. Volcanic soils exhibit much diversity, despite common ideas that all volcanic soil is lava. He told us that Etna is more like an island, since it rose from the sea like mushroom 700,000 years ago. Its land was formed by matter escaping from up from bottom border and rising above the sea, rather than by a blowing top and cascade of lava. It's still an active volcano today. Every few years ash blows out to fall on existing land, which continually transforms the lava stones. After all these years, ash is now a main component of the soils. 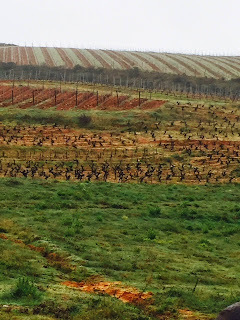 Vineyard sites must be flat as soils are powdery, so man made terraces are a common feature. The soil ranges from ancient to younger more organic soils. Much as the conversation fascinated me, the best thing about DOC Etna is that it's a place where history, geology and viticulture combine to produce delicious wines. These wines came from a lovely winery in the middle of vineyards nearly 10km square on each side. The winery itself is in the middle of natural stone garden which gives the place a unique appeal. 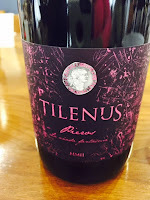 Sicily is an area that delivers a diverse range of wine from Marsala to Nero d'Avola. Lots of influences that contribute including culture, grapes and climate. I love ordering wines from Etna when I see them on wine lists because I have found them to be an excellent value, delicious with many foods and exotic. I think about all the inherent challenges in viticulture and wine making, and then throw in an active volcano. 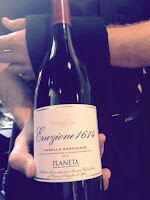 If you see Planeta wines on your wine list, please do try them. You won't be disappointed. May 21st is Chardonnay day. A day to celebrate one of the world's most popular grapes. Grown all over the world, Chardonnay makes its mark very comfortably close to home in the Livermore Valley. As early as 1889, wine from the Livermore Valley,won the Grand Prix at the International Paris Exposition. In 1936, Wente bottled the first varietally labelled Chardonnay in Livermore. So there is a lot of precedence to delicious Chardonnay here, especially from Wente. For people visiting San Francisco, there is a tendency to go right to more famous appellations, as there are many nearby. However don't skip Livermore. It's close and convenient and best of all the wine is yummy. Announcing this Chardonnay Day is a white wine blending session as well as an Umami class. As people drink and celebrate #Chardonnayday, a lucky few are enjoying the festivities where it all started: Wente Vineyards. But even if you can't get to the winery, Wente's Chardonnays are easy to find. I was lucky enough to get samples and can vouch for their excellent value and good taste. First 2013 Morning Fog Chardonnay ($15) This is a wine that is made with care to express the Livermore fruit well, even adding in 2% of Gewurztraminer for a dash of spice. A combination of barrel and stainless fermenting as well as seven months on the lees and monthly battonage, produces a soft mouthfeel with a snap of acidity. I got a nice vinous edge to the aromas as well as citrus notes and apple. 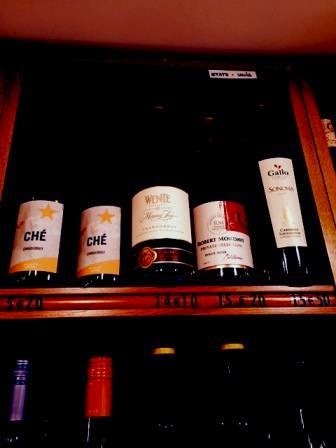 It is carried all over the world as I snapped a photo of it at the Nicholas Wine shop on the Rue Cler in Paris. Way to represent the USA Wente! 2013 Riva Ranch Chardonnay ($22) This is made from Monterey County fruit. It had a warmer gold color and was very food friendly. 3% Gewurtz here. More oak gave this a broader touch of vanilla, which was nice with pineapple and mango in the flavors It was delicious with the Mac and Cheese. Without descending into "Cougar Juice", the more persistent creamy notes of this wine stood up to and complemented the insanely delicious Home Room macaroni and cheese. Home Room is an Oakland purveyor of over the top rich, buttery, cheesy goodness #Cardiologists avert your eyes. 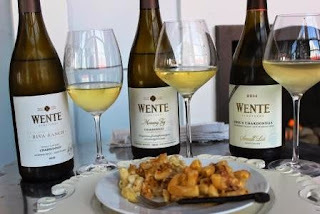 Whereever you choose to spend #Chardonnayday, I hope you lift a glass of Wente to taste California history in a glass. 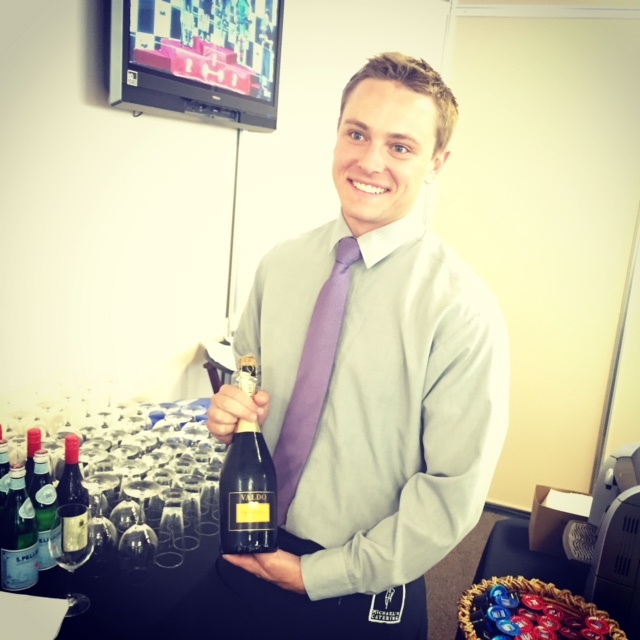 When I finish my work, my final and my commute, I plan to toast Livermore! You've probably had Clif Bars on your hiking, biking or outdoor adventures. You're good like that. I recently discovered a Clif Family offering that lets even slothful couchpotato indoor cats like me enjoy the genius of Gary and Kit and the amazing Clif Family team. LusciousLushes Thea and I sampled the Bruschetta Trio and their wine pairings and came away thoroughly addicted. Addiction is how the idea started when on a cycling trip, Gary and Kit (Gary Erickson and Kit Crawford, founders of the Clif Bar Company) ate bruschetta at Rifugio Samsara in Bassano del Grappa, Italy. When they returned home, a craving for those flavors sparked the idea to bring that deliciousness back to California. 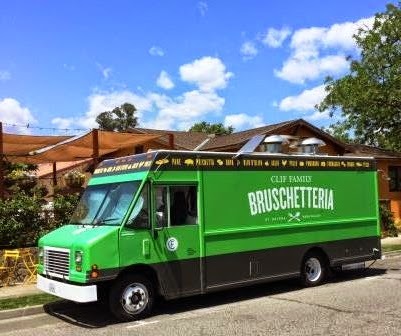 Enlisting the aid of Executive Chef John McConnell and a food truck tricked out in that epicenter of cuisine on wheels, PDX, they are now rocking it all over the Napa Valley. Since you can also try their delicious wines at their location in St. Helena, Velo Vino, I suggest that as your best bet. 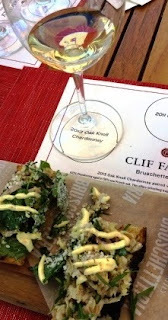 First, Clif Family Chardonnay, Oak Knoll, Napa 2012 was paired with a Porchetta Bruschetta. Porchetta, for the uninitiated, is a juicy (read: glistening with fat) stuffed and roasted pork dish. Here, the roast meat is pulled and then enhanced with chopped herbs, fresh from their garden, and a shimmering aioli. The Chardonnay has just the right amount (50% French) of oak for smoothness and a backbone of acid. Combine a perfectly balanced Chardonnay with porchetta and you have a delightful introduction. Citrusy notes in the wine made a perfect match for the herby richness of the pork dish, which was my favorite. 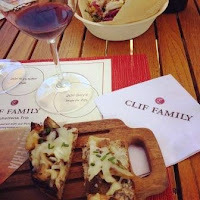 Next, Clif Family Kit's Killer Cab, 2011, Napa was paired with a Pomodoro Brucshetta. Kit's Killer Cab is made from two parcels of Howell Mountain fruit grown on their estate. The first, Cold Springs Vineyard, produces fruit that is masculine but gentlemanly. Also used is Croquet Vineyard, which is described as feminine and elegant. 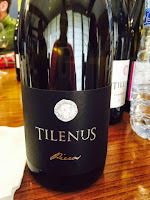 Combined, it shows juicy, but structured, red and black fruit and was easy to drink. This elegant wine is also completely at home at a casual lunch. 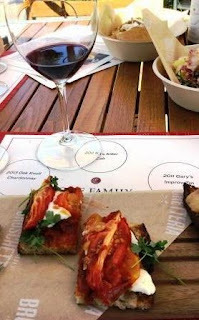 The Pomodoro Bruschetta had melted tomatoes mixed with tangy goat cheese and garlicky elements. The sweetness of the tomatoes went perfectly with the structure of the wine. Batting cleanup was the Clif Family Gary's Improv Zin, 2011, Napa Also made with estate fruit in this case zinfandel, the wine was bold with spices, dark fruit and a lovely finish. Paired with Funghi Bruschetta it was the best pair. 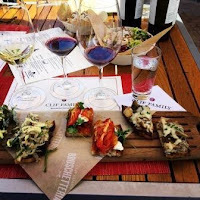 The bold spice of the wine meshed perfectly with the savory mushroom and fontina cheese of the dish. When Executive Chef John McConnell came by, I quizzed him and learned a lot about the philosophy and ingredients. First since cycling was the inspiration and many cyclists come by, he strives to make things delicious, but also nutritious. Two accompaniments to our bruschetti, were salads. One, Fagioli e Grano ws an Italian inspired side dish made with farro, Fregola Sarda, broccoli rabe, ricotta and heritage beans. 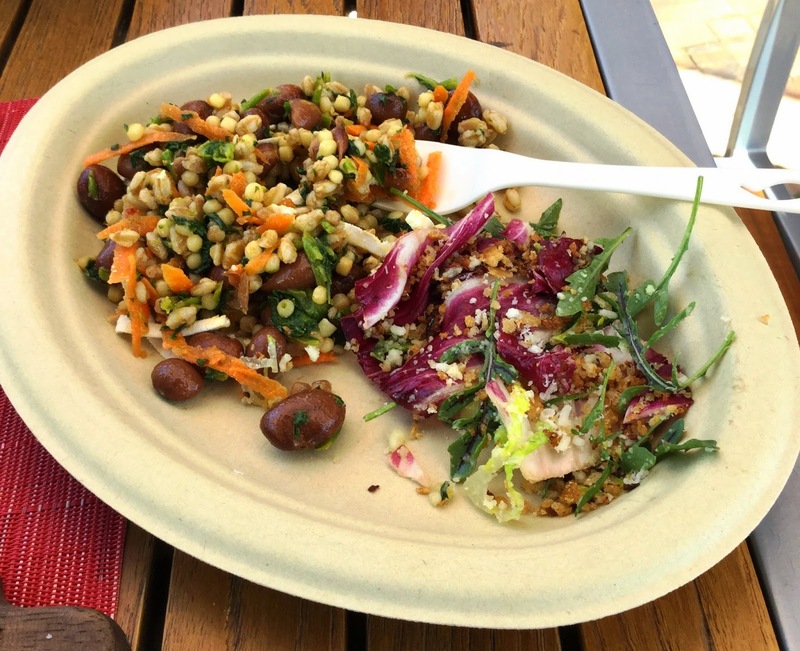 Fregola Sarda is a pasta shaped like a grain that was as toothsome as it was delicious. 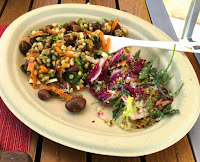 Both Lina Sisco Bird's Eye and Eye of the Goat beans were incorporated into the dish. All together it formed a harmonious taste and delivered enriching satisfaction. The Tre Colori salad, whose three colors come from arugula, romaine hearts and radicchio was similarly satisfying. What lifted the salad's flavor was a combination of lemon scented bread crumbs and pecorino. 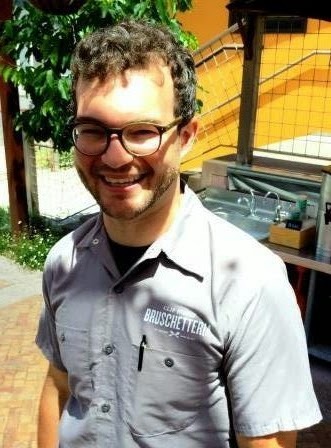 Chef John gave us a tip for home cooks. Many thanks to the Clif Family team who hosted us for lunch. 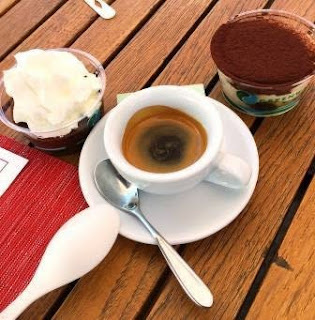 Everyone there took such good care of us, answered all our questions and delighted us with dessert: Tiramisu, Chocolate Budino and a perfect espresso. Expect a wonderful experience when you visit as the staff all rock collectively and individually! You cannot ask for a better place to while away some hours of glorious Napa sunshine with comfortable, nourishing al fresco wining and dining. 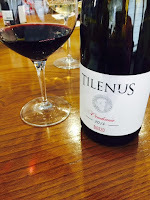 Bodegas Estefania's brand is Tilenus which produces five red wines from Mencia grapes. They are able to grow 80% of their fruit, but source 20% from traditional growers who maintain their terrenos or small farms. Bodegas Estefania started with zero land and are acquiring small parcels as they become available. When they are ready, they are released to surprise and delight the rest of you. Red fruit and touch of aged meat in aromas. Lovely rich flaovors of dark fruit. 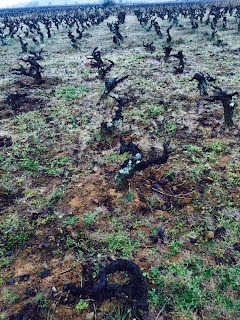 Persistent tannins. Long finish kissed with baking spice and gingerbread . 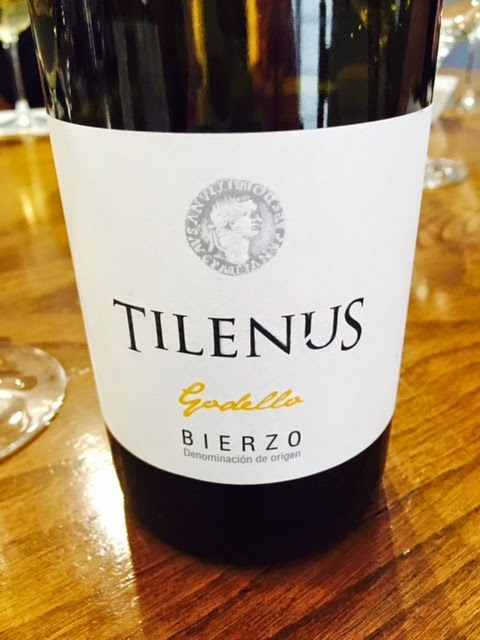 A fitting end to our overview of the MGW Group and the delicious wines they are producing in Alicante, Bullas and Bierzo. I can't thank the team enough for introducing me to such wonderful wines and the dedicated people who produce them. MGW Group Director, Sergio Sachnovsky-Raevskey joined us and regaled us with his wit and expertise. And Eduardo Ruiz , took time away from the Four P's of Marketing and dedicated several days to the Five #OleWinos. Many thanks for answering all our questions, enduring our twittering like chipmunks everytime we got in WiFi range, and for driving us all around. I am so glad they enjoy their work; their hospitality only added to the deliciousness of the experience. If you can find these delightful wines, buy them! Pliny the Elder mentioned Bierzo in his writing. Notable then, it's still in business today in the Castile-Leon region of Northwest Spain. 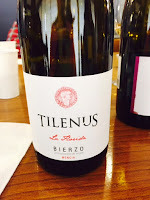 Bierzo, a Spanish Denominacion de origen (DO), has natural beauty, history and delicious wine. 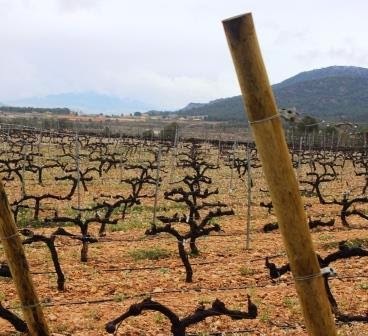 Ancient influences are still visible via the Celtic fortresses, in Spanish, castros, that sit below the skyline above wise old vines. Expect to find many wonderful features of architecture and art from the Romans, the Celts and the Moors. We stayed in Ponferrada. A lovely city where residents live their lives in the shadows of old castles, stone walls and the lovely mountains that capture the lavender twilight and bewitch you. 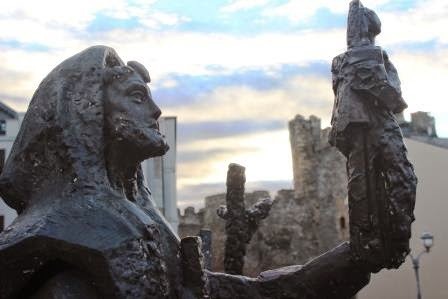 Ponferrada is along the route of the Pilgrimage of Santiago, so you will see people on foot or bicycle making their peregrinations along the steep twisty roads that connect the areas. You wonder as you see them what favor they need or what absolution they require that drives them to traverse, carless, this rugged terrain. 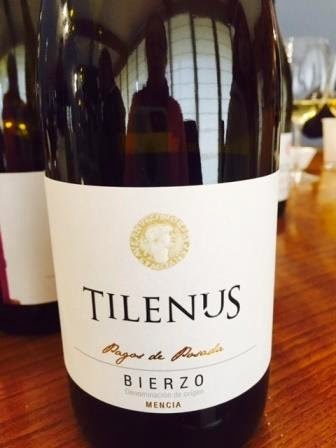 Bierzo has one flat plain and the rest, is composed of mountains and small valleys. 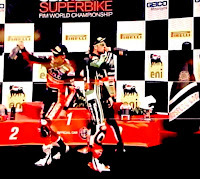 There are many ways to go from Point A to Point B. The prettiest way is not always the fastest as we found out when our journey to lunch felt like a peregrination. After a 45 minute ascent we later found out there is another route that is a quick 15 minute zip zip zoom on the freeway. No matter. #OleWinos have plenty to expiate. 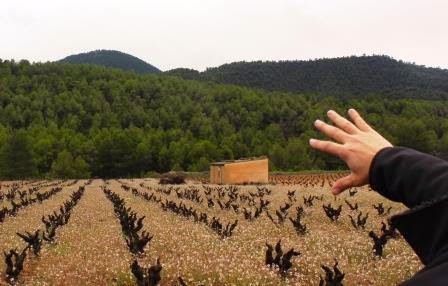 The vineyard holdings of Bodegas Estafania were great examples of the small valleys ringed by mountains that are characteristic of the DO. We looked up to the Celtic fortress in one direction, and up to the Pieros parcel of the La Florida vineyard in another. In addition to Bodegas Estefania's estate holdings, they source fruit from growers. Bierzo is like Burgundy where great fruit can come from from traditional Vigernons. Northern Spain had Napoleonic inhertitance laws called mini fundio where ever smaller parcels become the result of property passing from parents to children. At the beginning there were three very large cooperatives. 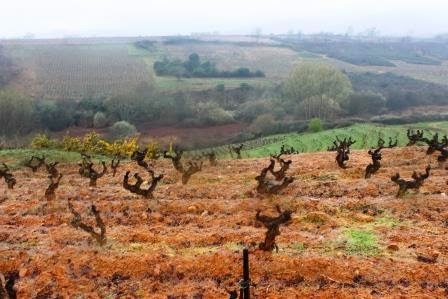 Their role was integral to maintaining old vines. But their role was also as viticulturists first, which has such different goals from that of creating lovely estate wines of quality. MGW Group is helping by driving acquisition activity when vignerons want to sell.. The region is growing with 72 wineries today. There were less than twenty in 1999 when this winery started. Bodegas Estfania was founded 15 yrs ago in 1999. 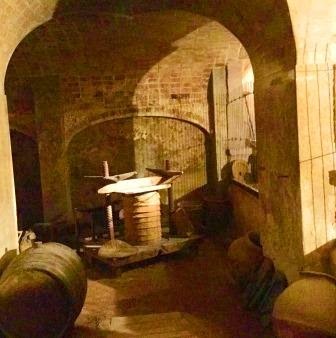 From an old dairy, the Frias family built up the winery production facility. 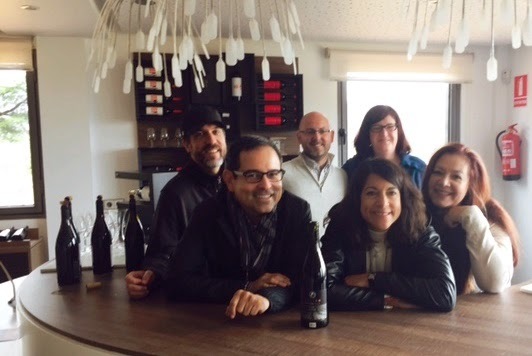 They worked with Raul Perez, whose dedication to Mencia helped guide the winery's direction. 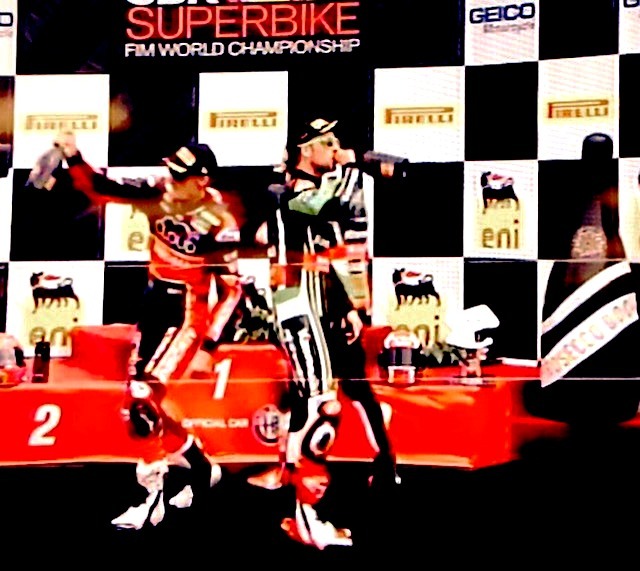 In 2014 they teamed up with the MGW Group. At 250k bottle production it is comfortably midsized. 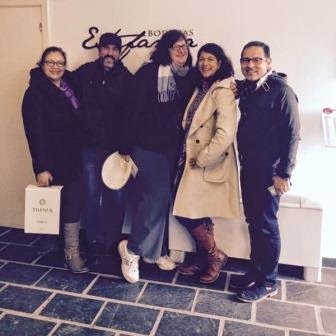 The Bodega Estefania team looked for a good winemaker. They were told told Mencia was not suitable for aging. Winemaker Carlos Garcia and General Manager Pablo Frias are proving everyone wrong with wonderful Mencia vinified with a French oak protocol that gets better and better with age. They invest in true Pagos, which are special single vineyard estate holdings. Their Pagos de Posada bottling under the Tilenus brand is a wine that leaves you wanting more of this unique and special expression of place. More later on the wines themselves. "In love with vines because when you work with 80 yo vines, it can only be done with love"
Vines were planted when horses were the newest technology "machines" so harvest must be accomplished with SUVs and trailers. Lots of sweat equity goes into each harvest. 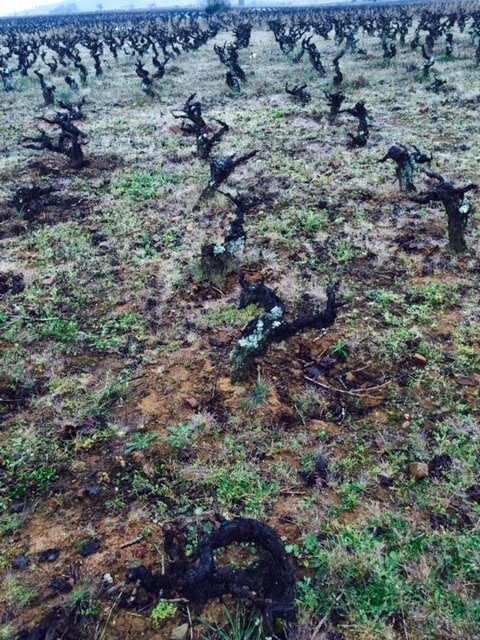 When clay is solid and dry, it's hard for vines to get water, so they break up the soils manually. The newer plantings are spaced wider. Wide swaths of grass reduce erosion. 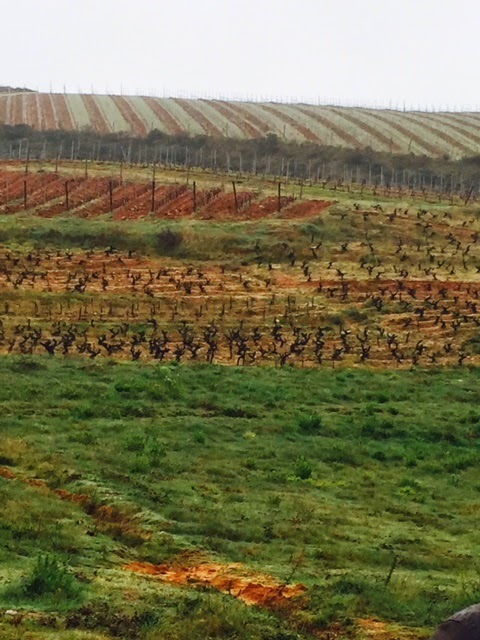 Vineyard workers re compost all the cuttings, though the process takes three years to produce usable nutrients. 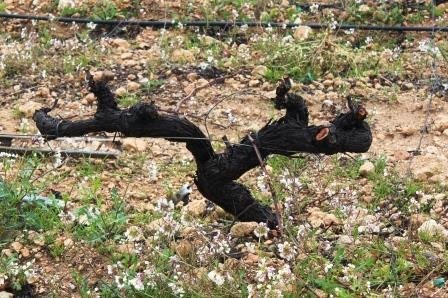 Mencia is a tenacious grape. Its taproots can go down for meters, while its regular roots only go down 3-4 cm. The old vines can produce as little as one kilo per vine. In addition to the space constraints, harvesting also adds to the cost as the berry selection process must be done carefully and by hand. Mencia, while delicious, can be a fractious variety with expert care needed to balance acids, tannins and create harmonious balanced wines. Luckily for us, through the teamwork of the Frias family and the MGW Group, delicious ageable wine is being produced from this interesting and lovely DO. Also to Kraynick and Assoc for organizing it all, and making it fun! The next stop for the #OleWinos was the Lavia Winery in the Bullas, DO. Here, Monastrell is vinified with Syrah to make a sheer wine with flavor impact. First a little about Bullas. Located between the town of Murcia and the border with Andalusia, it is an area of very little rainfall and extremes in temperature. 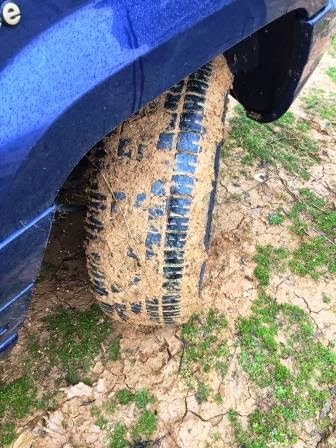 The winds that blow in with rainstorms are so strong they splash windows with raindrops as well as a fine layer of silt from the neighboring North Africa's dust. On the road to the winery, I experienced a total "I'm not in Kansas, anymore" moment when a road sign in Arabic flashed by. The region has a colorful backstory. 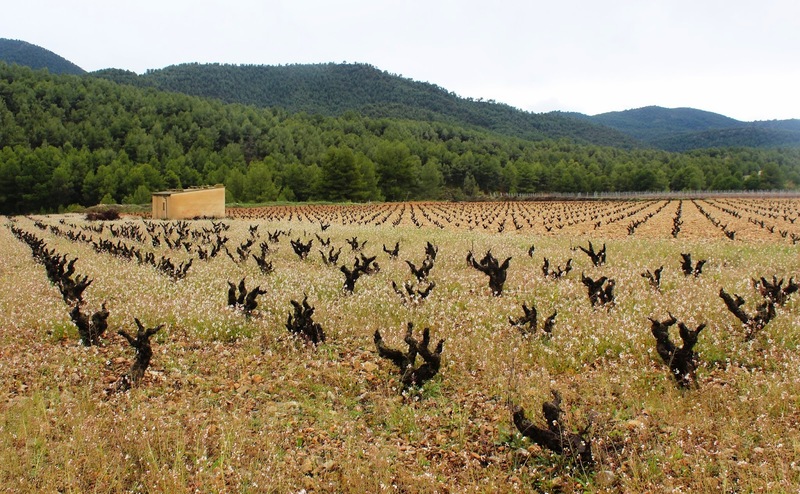 Of Bodegas Lavia's twelve hectares, two are planted with Syrah, and the other ten, Monastrell. 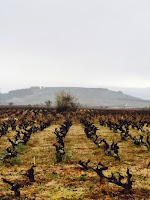 Syrah is 16 year old vines on trestles The rest are Monastrell vines about 35 years old and planted about 750 m higher than Bodegas Sierras Salinas. The climate is different because of the mountain range. Here in Bullas, pine trees hold humidity. 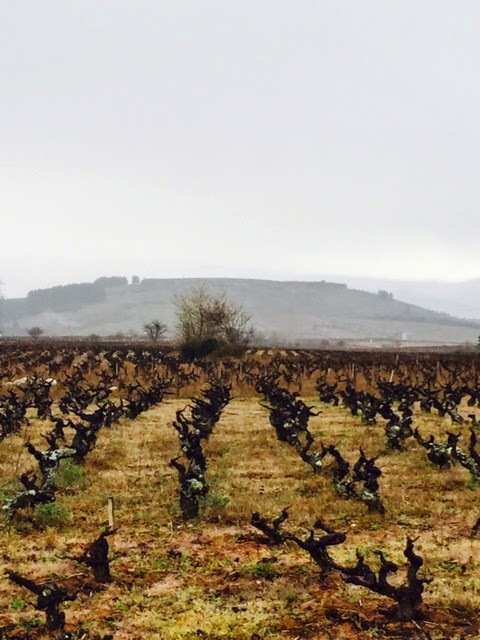 The vineyards in the Alicante DO saw about 55 hL of rain. The Lavia vineyards got only 35 hL. Luckily the humidity in Bullas is higher so holds moisture better. They have two brooks within 100m, which even during the drought continue to run. This confirms water tables are high still. In the four days before (and during) our visit, more rain fell than all last year. Timing is perfect because flowering is imminent and the vines will need the water. Since 2009, all the vineyards are certified organic (leaf). Healthy organic practices allow the vines to go deeper. No residue allows the wine to be more expressive. vineyards are harvested by hand. 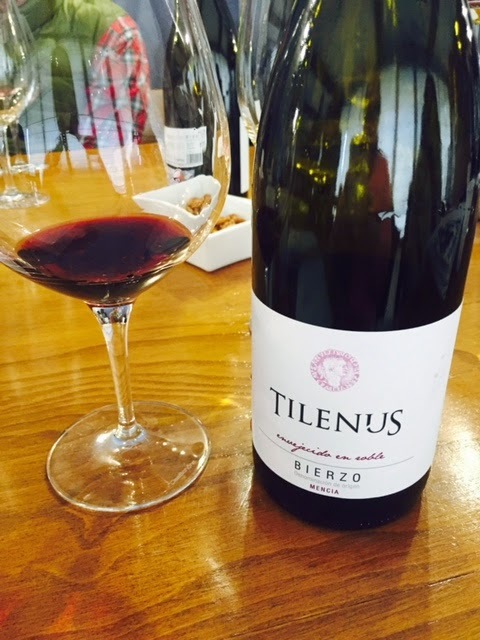 Similar to Bodegas Sierra Salinas, very gentle treatment of the hard won fruit is employed to make the wine. Monastrell from Bodegas Lavia is unique. The land here produces a grape that lends itself more toward a Burgundian style of vinification. The goal is a fresh and elegant wine that speaks of its own place. The production facility is set up to use gravity to gently move the juice. The production is small allowing them to use manual pigeage. With all that hand (and foot) work, the Bodegas Lavia people from all departments form a close knit team, where everyone pitches in to do what is needed, whether that is marketing, stomping or swabbing. Native yeast start the fermentation. 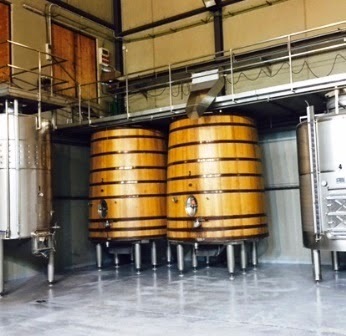 Cold fermentation is done at 8 celcius to preserve color and aroma, and also to minimize the extraction of tannins. 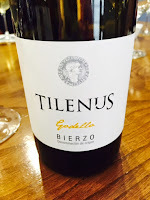 Balancing all these is important to all wines, but especially to this interesting blend of Monastrell and Syrah. 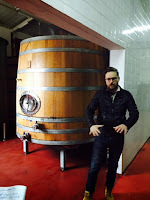 Some of the high end wines are fermented in big wooden foudres or tuns. 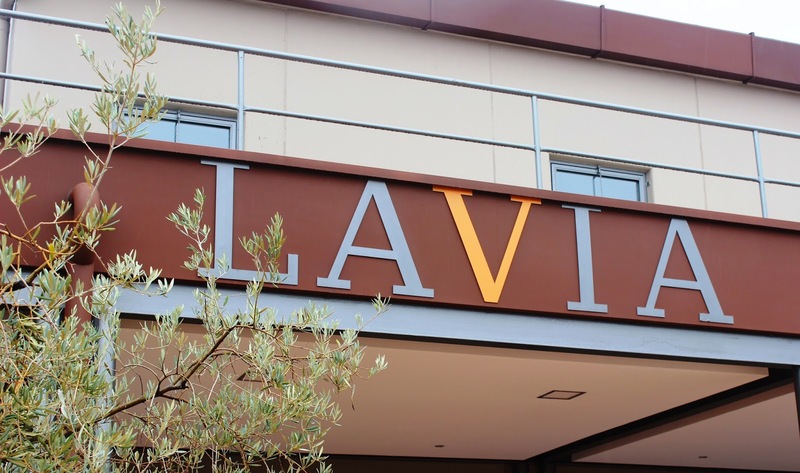 Bodegas Lavia is a relatively recent purchase for the MGW Group. 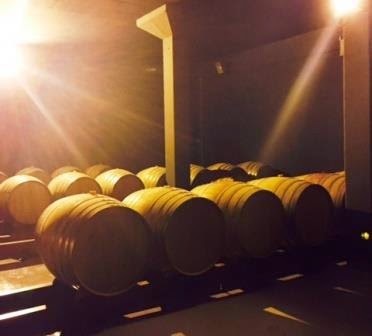 While we wait for Sebastien Bouton's wines to be released, we were treated to the current selections and well as a preview of upcoming wines in the barrel room. 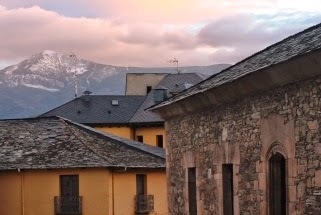 Built in 2003, Bodegas Lavia is named for the nearby mountain. 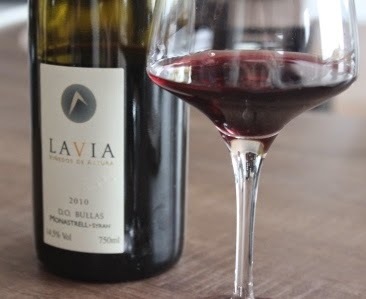 Lavia started as a passion project meant to produce very small lots of very high quality wines as a hobby. This laser focus on quality was perfect for MGW Group's goals and so they acquired it. 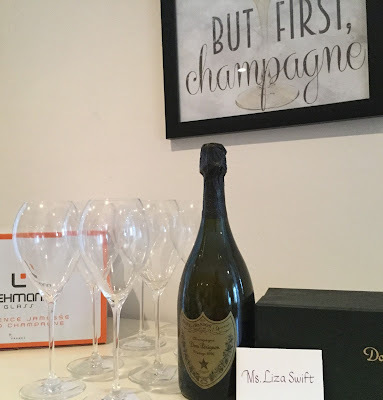 The property is lovely and modern and one of the best appointed tasting rooms I have ever seen. 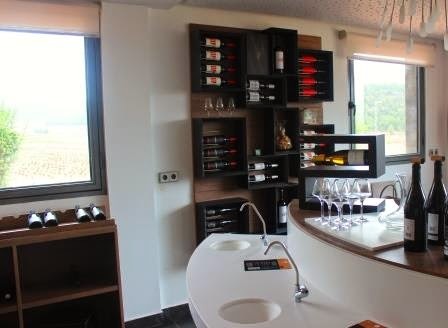 With a view of the grapes from all the windows and personal sinks for all, there is no need for a spit cup, though the wine is so delicious only the desire to retain my faculties to better appreciate the wine made me spit. Although for full disclosure, I wasn't that successful.Does it taste good though? Answer is most definitely yes! 80% Monastrell and 20% Syrah. 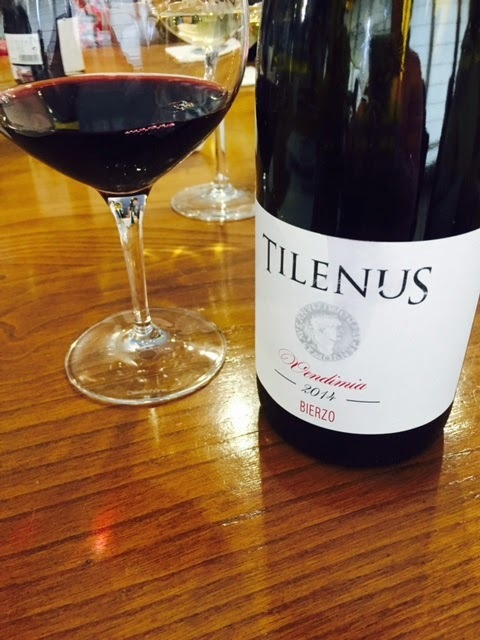 The fruit for this wine comes from deep soil with rocks and stones. This produces fruit with thinner skins, less color and tannin, and more aromatic notes of black cherry and raspberry. It has a lovely perfumey nose balanced with with more vinous elements. Complex flavors that confirm the nose. Tasty. Plus is 100% monastrell. More brick in color and aromas of red fruit along with tomato confit and an interesting element of postage stamp. 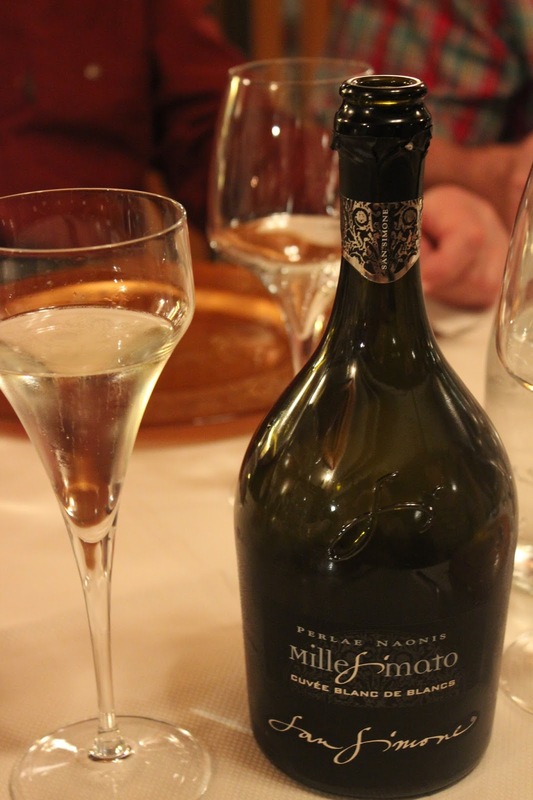 Sprightly acidity, which is an important part of aging. Flavors led by vinous elements. Mouth feel had texture of rustic linen to its tannins. The briary finish had a sprinkle of cinnamon. 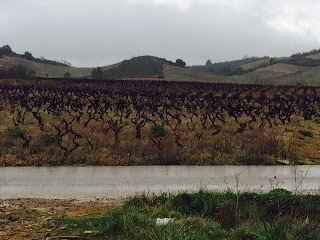 You can see the magic of Bodegas Lavia's team in the difference between their viticulture practices and their neighbors. 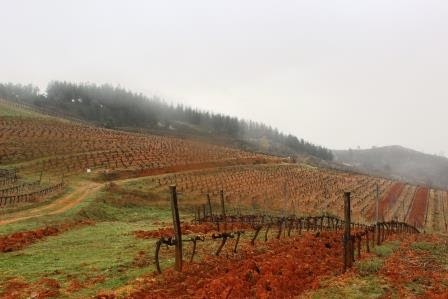 The Bodegas Lavia vines are planted in a marco real 2.5 x 2.5 square configuration. This uses soil better so every vine has enough space for its roots. You can also see their attention to detail in the difference between their cover crops and the bare landscape of the adjacent vineyards. These first flowers after a hard winter are intentionally lush so as to call the bees to their first meal. This vegetation is also good for the other fauna that eat bad bugs.